In the week when the NHS in Scotland turned 70, Cameron Archibald’s guests on the Full Scottish are Dr Philippa Whitford MP and Professor Allyson Pollock. We take an in-depth look at the the future of the NHS in Scotland, the impact which Brexit will have and the risks posed by trade deals with the countries seeking to gain access for their big health-care corporations. We also look at the Claim of Right debate, Scottish Devolution, Westminster’s “Brexit Power Grab” and the options for the Peoples vote and Indyref2. 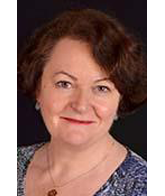 We are delighted to welcome Dr. Philippa Whitford MP back on the Full Scottish, to bring s unique insight into the workings and politics of the NHS. Philippa is a breast-cancer surgeon who was first elected to Westminster for the Central Ayrshire Constituency as one of the 56 in 2015 and was re-elected in the 2017 snap general election. Early in her career, Philippa spent a year and a half as a medical volunteer in a UN hospital in Gaza. She spent the 2016 parliamentary recess travelling to the West Bank to operate on four women suffering from breast cancer, and visited the Gaza Strip to advise local hospitals on how to improve healthcare. Prof Allyson Pollock is director of the Institute of Health and Society at Newcastle University. 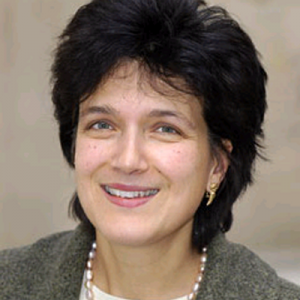 She set up and directed research and teaching units at Queen Mary University of London and the University of Edinburgh, establishing some of the UK’s leading undergraduate and postgraduate teaching in global health, and prior to that she was Head of the Public Health Policy Unit at UCL and Director of Research & Development at UCL Hospitals NHS Trust. She trained in medicine in Scotland and became a consultant in public health medicine in 1991. Her research interests include regulatory science and access to medicines; health service reorganisation, marketisation and PFI / PPPs; and childhood injuries and the epidemiology of trauma.